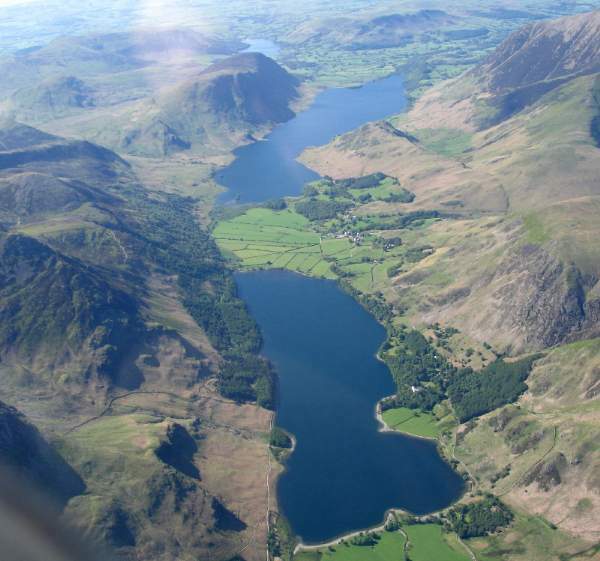 Buttermere (bottom), Crummock Water (centre), and Loweswater (top). Photo by Simon Ledingham. The Lake District is the largest of the United Kingdom’s National Parks, and contains 16 lakes (and many smaller tarns), more than 150 high peaks, with four over 3000 feet (the only mountains in England), (including England’s highest mountain, Scafell Pike – 3206 ft). There are six National Nature Reserves, 100 sites of Special Scientific Interest, over 50 delectable dales, and some four hundred towns, villages and hamlets within its 885 square miles of breathtaking countryside. It is now part of the county of Cumbria, but originally contained parts of the counties of Cumberland, Westmorland, and North Lancashire. 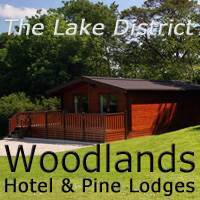 The Lake District is a world famous holiday and leisure destination. 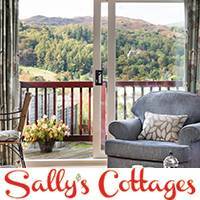 You can browse a selection of over 3,500 places to stay in the Lake District – Lake District hotels, Lake District holiday cottages, Lake District bed & breakfast accommodation, and the extensive range of Lake District alternative holidays such as camping and caravan sites, hostels, glamping, and holiday parks. 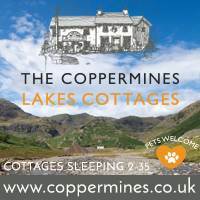 Online booking through Visit Cumbria is secure and easy and there are no booking fees. On Sunday 9th July 2017 The Lake District gained UNESCO World Heritage Status. See how to get to the Lake District. 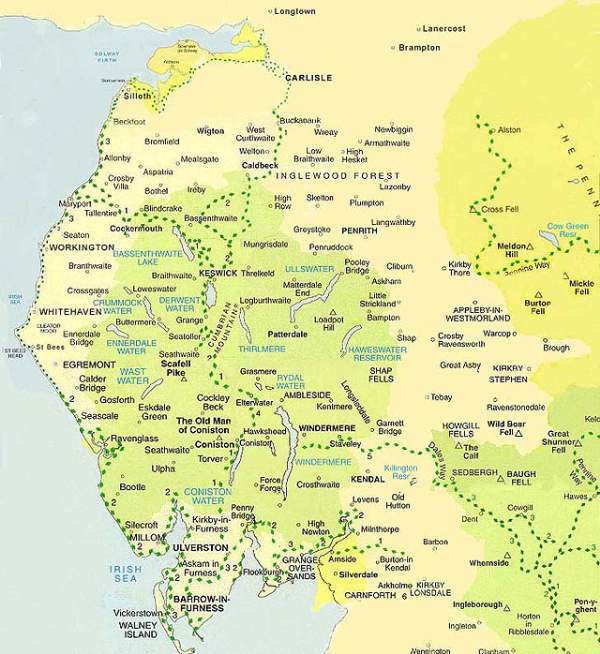 The map of Cumbria below shows the Lake District as a part of Cumbria. The Lake District is the central green shaded area, and the Yorkshire Dales National Park, part of which is also in Cumbria, is the green area bottom right.